Studying Economics masters degree at Royal Holloway means that you will learn from internationally renowned experts at one of the UK’s top ten teaching and research centres. Students will receive rigorous training in the analysis of economics and graduate with the tools of the professional economist so that you are ready for your chosen career path, whether in government, the private and financial services sectors or further research in economics. We have an impressive employment record, 90% of our students have jobs in six months. Excellent career prospects; economics has an impressive employment record and graduates’ starting salaries are amongst the highest in the country. Small groups with individual support; being part of a small group of around 30 students means you’ll feel part of a team and have close contact with the academic staff, you’ll also receive the individual support from the course director. Quality research and teaching;one of only economics departments in the country placed in the top ten for both research and student satisfaction (Research Assessment Exercise, 2014 and National Student Survey 2015). One of the few Departments in the UK to have an in-house economics experiments laboratory, used by staff and students. 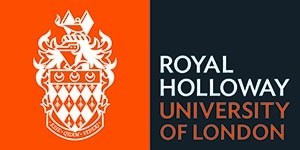 An Economics masters degree at Royal Holloway, University of London will equip you with an enviable range of transferable skills and can lead into a variety of career paths as well as the knowledge and a solid foundation for continued PhD studies. Employers recognise and reward the real knowledge and skills developed in an Economics degree. We will help students to recognise their own strengths, skills and abilities so that they can make strong applications for their chosen job or further study. We also provide careers support including application and interview coaching, career strategy discussions and the opportunity to network with major employes. Our graduates are highly employable and full time employment or further study achieved by 90% of Economics graduates within six months of graduation (Unistats 2012). Our graduates are highly employable and, in recent years, have entered many different economics-related areas, including working in the Public Sector (Government Economics Service), journalism, business analysis. careers as Economists, Journalists and Business Analysts. Our graduates are currently working for firms such as Accenture, TNS, Bloomberg, Citigroup, Royal Bank of Scotland, Credit Suisse, Pricewaterhouse Cooper and Baker and Mackenzie. Visit the Economics - MSc page on the Royal Holloway, University of London website for more details!